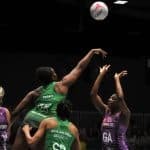 The trip up to the all-new English capital franchise, London Pulse was more than worthwhile for Celtic Dragons as the franchise recorded a first away victory in the Vitality Netball Superleague for many a moon. 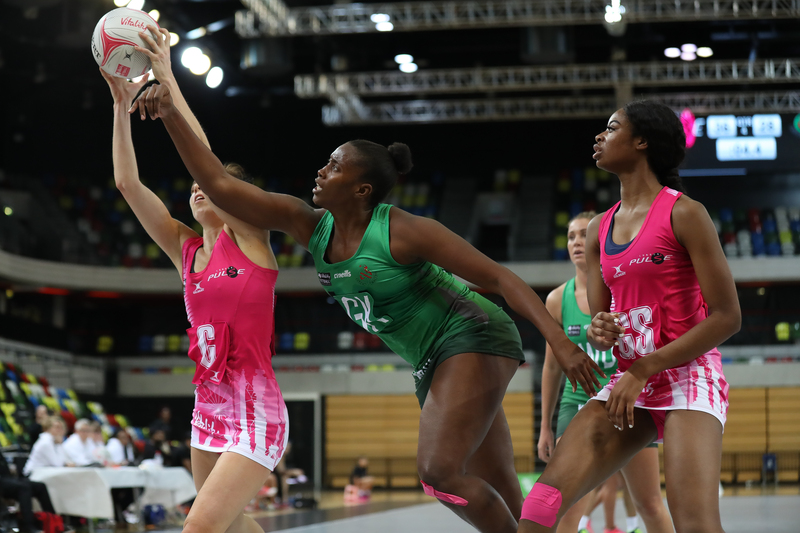 Past exploits of previous Dragons squads were of no concern to Tania Hoffman’s 2019 outfit as the players put on a confident display to put the hosts to the sword, 40-67 at the Copperbox Arena, East London. London Pulse drew first blood with the first goal, but initial signs were very encouraging as Stacian Facey nearly made an interception only to be called for contact. Nevertheless, Dragons fired themselves straight back up court via Suzy Drane’s long pass to Kyra Jones who fed into GA Kalifa McCollin for a goal. The first quarter continued neck-a-neck as Pulse kept composed under their own post, but after about 10 minutes, the home team started to allow some errors to creep into their game and Dragons were able to benefit from the umpire’s whistle. Pulse were assertive and abrasive in defence but Dragons wouldn’t give an inch and it was good to see the officials call time for a quick word for the captains as the contact calls mounted up. Still, Dee Bolakoro and Stacian’s productivity in defence gave Dragons the ammunition for their three-goal quarter time lead. Dragons tails were up and immediately on the second quarter whistle, captain Nia Jones demonstrated her outstanding vision with a harrier-like interception. Dee was likewise in flying form as Pulse started to feel the pressure and Dragons were able to score from some very straightforward route-one drives. Dragons could do no wrong, summed up by a Nia interception attempt glancing off her head only to land perfectly in the hands of Kyra Jones! The home team scrapped on but appeared to be quite dispirited as the Dragons continued in ruthless form, with both Kalifa and Chelsea Lewis scoring for fun. 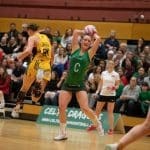 In the second half Celtic Dragons found themselves in unfamiliar territory with command of the match. However, both management and players knew the range of international talent that lay within this Pulse side and approached the second half as if the scores had been reset. The unchanged Dragons team continued to try for every Pulse ball and once again Dee was able to rob Pulse of their possession and any chance they had to impact the score. Dragons started to turn on the style as Kyra leapt to keep the ball in play as a Pulse feed missed the mark. Dragons remained committed to the cause in the final quarter with Suzy Drane’s hard passing and direct approach keeping the visitors on track. Kalifa and Chelsea continued their excellent form in the match shooting at 100% and 90% respectively. Pulse did take better advantage of their opportunities as the game drew closer to full time and head coach Hoffman took the opportunity to make some changes with Abby Tyrrell coming on for Dee at GD and Lucy Herdman for Chelsea at GS. Both contributed excellently to Dragons physicality on court and helped steer the franchise towards an emphatic away win. The squad was measured in victory, well aware that we are only in Act I of the 2019 season but players and management can be congratulated on a job well done away from home. Attentions will now turn to a clash with Severn Stars away in a fortnight’s time. 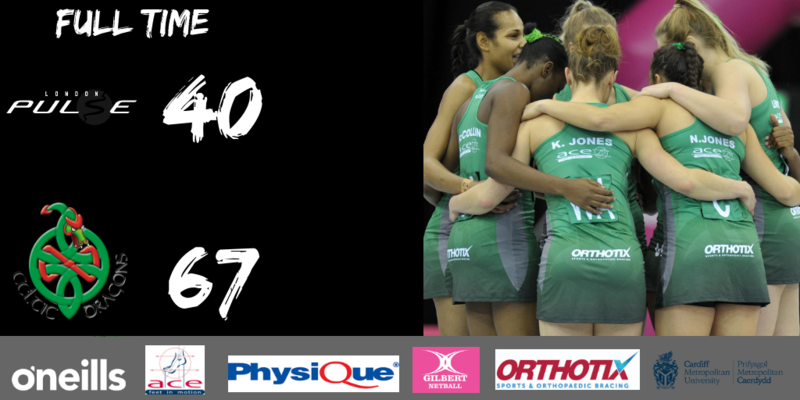 Celtic Dragons: GS C. Lewis, GA K. McCollin, WA S. Drane, C K. Jones, WD N. Jones (capt), GD D. Bolakoro, GK S. Facey. Replacements: A. Tyrrell, L. Herdman, L. Howells, L. Hitchings, E. Roberts and E. Nawele.